Rising acidity of ocean waters will wipe out the world’s coral reefs and could devastate crab, scallops and other creatures that build shells from calcium compounds in ocean waters, a top professor told a Fort Bragg audience last Friday. San Francisco State Professor Jonathon Stillman presented figures that showed the pH balance of ocean waters has tilted toward acid in the past 20 years. That’s nearly as much as it did in the previous 200 years, which were themselves a steady but slow increase over historical levels. The bad news could be good news for Fort Bragg’s efforts to launch a marine science study center. Millions in study funding has already been pledged by various organizations to monitor new Marine Life Protected Areas. Ocean acidification and upwelling present further tasks critical to the planet’s future that a local marine study center could help with, locals said. The Marine Life Protection Act Initiative is a public-private effort to create a connected array of new areas of the ocean where fishing uses are prohibited or restricted. The MLPAI is a private organization authorized by the state and funded by the Resources Legacy Foundation Fund to gather public input and create the proposed maps of closed areas. Stillman presented preliminary experimental data that showed disturbing changes to mollusks, crustaceans and even fish, including decreasing shell-building and creature size. Rising proof about the impacts of global climate change and acidification show that coral reefs will actually be melted in this century if current rates of acidification continue. Perhaps most distressing to the crowd of about 40 people was that the life-giving upwelling off the Mendocino Coast actually adds to acidification by bringing up more acidic deep waters. The more upwelling, the more acidic waters become. Ocean acidification is caused by atmospheric carbon dissolving in the oceans. Ocean acidity has been rising since the beginning of the industrial revolution, as factories, cars and even cows have pumped out increasing amounts of carbon dioxide. About 30% of carbon released into the atmosphere ends up in the oceans. Stillman was both harried and delighted by the steady barrage of questions from the audience. Many were complex and scientific in nature such as queries from geologist Skip Wollenberg and seaweed harvester Tomas DiFiore. Do rising salinity levels contribute? Answer: No and icecap melting means salinity is actually going down. What about studying the winds that drive upwelling? Answer: Important question but too tangential. Wollenberg wanted to know if the fossil record provided any warnings of what happens when oceans get more acid. Stillman said it does, but wanted time to share important recent studies on that subject before answering, and he ran out of time, due to all the questions and discussion. The Marine Life Protection Act Initiative never came up, although, it has greatly raised local interest (and controversy) in ocean issues and local participation in solving problems with the oceans. The talk was sponsored by COMPASS (Communication Partnership for Science and the Sea) and OST (Ocean Science Trust). COMPASS seeks to help scientists like Stillman step outside the ivory tower and communicate complex topics to the general public. Stillman provided no solutions, with his handout stating that reduced carbon output is the only solution to ocean acidification (as well as rising sea levels). More scientific study of the oceans — like that locals hope to create with a science center on the former Georgia Pacific mill site — is critical to the survival of the planet, Stillman said. “At present we cannot adequately predict how marine ecosystems as a whole will respond to ocean acidification and our ability to deal with (acidification) depends on how well we can predict its effects,” Stillman’s handout states. State efforts to stem global climate change and prepare for rising sea levels were explained to the crowd by Sheila Semans, project specialist with the California Ocean Protection Council, the state agency that oversees the oceans. She explained the sweeping Global Warming Solutions Act signed by Gov. Arnold Schwarzenegger in 2006 that targets emission reductions to 1990 levels by 2020. Among important specific actions she cited was the acquisition of Bay Area wetlands, mostly from the Cargill Corporation, another public-privatized effort (like MLPAI) financed by the Resources Legacy Foundation. Unlike Georgia Pacific at the mill site, Cargill was allowed to convey tens of thousands of acres to the state before cleaning up toxic effects of generations of salt mining. This reporter, accompanied by dissident Bay Area local environmentalists and Department of Fish and Game employees, toured miles of these former salt marshes, which support little life in many places. The state has little funding for a cleanup that could cost a billion. 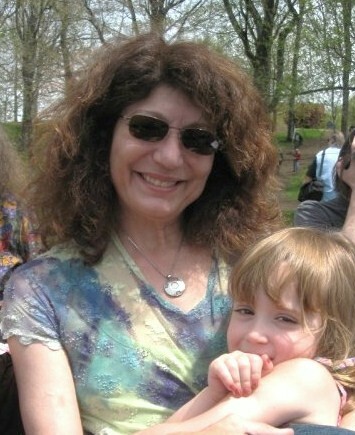 Local critics of the acquisition process for the salt marshes (such as refuge friends organizations) say they were unable to influence the centralized marketing and acquisition process. After the massive land tracts were acquired amid much fanfare, problems with the amount paid and the extent of the cleanup needed emerged, as local critics had predicted. The MLPAI effort pledges better follow up study, but many locals remain skeptical that study dollars or efforts will involve locals and those with hands-on familiarity with the local ocean. Editor’s Note: The Kent State Truth Tribunal invites your participation, support and tax-deductible, charitable donations. If the Truth at 1970 Kent State matters to you, please join us here. 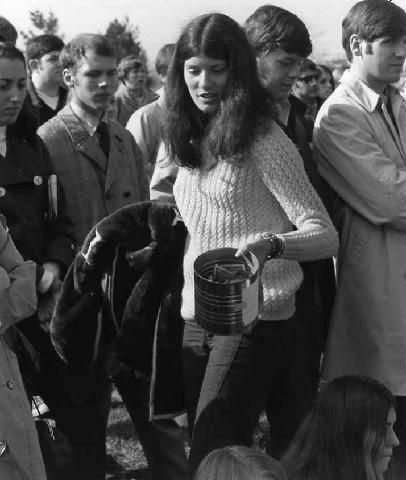 On May 4, 1970, 67 bullets were fired at protesting anti-Vietnam war students on the Kent State University campus. The 13-second discharge of the Ohio National Guard weapons devastatingly concluded four days of protests with the death of four and wounding of nine young American students. It is believed, yet obviously still-to-be-proven, that an ‘order to shoot’ was indeed given at Kent State. Common sense and physics alone support this. With the 40th memorial approaching quickly, the Krause family is wishing to work with others to create a tribunal over the first four days in May at the Kent State University campus to uncover the facts about what occurred forty years earlier. We are now launching the Kent State Truth Tribunal to discover, uncover and examine what really happened and to learn the PEOPLE’S TRUTHS about those four days in American history. Let’s explore through art, music, video interviews, poetry, enactments, rituals and discussions. We see this as appropriate BOOKENDS to the event. When we uncover the final, long-sought-after truths of what occurred those Four Days in May so long ago…the truth shall set us free, history shall be corrected from hence day forth and we will share in this beautiful healing! Won’t you please join us by helping to uncover the truth at Kent State at the 40th? December 2010, Congressman Dennis Kucinich offered to publish Kent State: Truth Emerging in this Cold Case Homicide by Laurel Krause in the United States Congressional Record. A current view on the Kent State shootings, killings from Allison Krause’s family. AW-Energy, a Finnish renewable energy company developer of WaveRoller, a patented wave energy technology, has signed a $4.4M (3 million euros) contract with the European Union to demonstrate its technology. The contract between AW-Energy and the EU is the first one under the “CALL FP7 – Demonstration of the innovative full size systems.” Several leading wave energy companies competed in the CALL. The contract includes a 3 million euro or $4.4M US grant agreement, providing financial backing for the demonstration project. The project goal is to manufacture and deploy the first grid-connected WaveRoller unit in Portuguese waters. The exact installation site is located near the town of Peniche, which is famous for its strong waves and known as “Capital of the waves.” The nominal capacity of the WaveRoller is 300 kW and the project will be testing for one year. The ‘Dream Team’ consortium is led by AW-Energy and includes companies from Finland, Portugal, Germany and Belgium. Large industrial participants include Bosch-Rexroth and ABB, together with renewable energy operator Eneolica and wave energy specialist Wave Energy Center, supporting with their experience to ensure successful implementation of the project. “The experience of our dream team consortium is a significant asset to the project, and we are thrilled about this real pan-European co-operation. AW-Energy has been working hard the last three years with two sea installed prototypes, tank testing and CFD (Computational Fluid Dynamics) simulations. Now we have the site, grid connection permission, installation license and the technology ready for the demonstration phase,” says John Liljelund, CEO at AW-Energy. The U.S. Department of Energy recently announced that it is providing $14.6 million in funding for 22 water power projects to move forward in the commercial viability, market acceptance and environmental performance of new marine and hydrokinetic technologies as well as conventional hydropower plants. The selected projects will further the nation’s supply of domestic clean hydroelectricity through technological innovation to capitalize on new sources of energy, and will advance markets and research to maximize the nation’s largest renewable energy source. 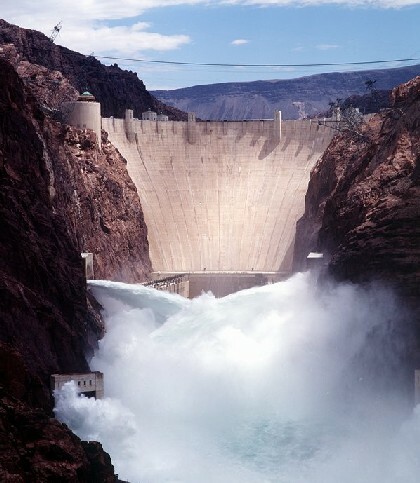 “Hydropower provides our nation with emissions-free, sustainable energy. By improving hydropower technology, we can maximize what is already our biggest source of renewable energy in an environmentally responsible way. These projects will provide critical support for the development of innovative renewable water power technologies and help ensure a vibrant hydropower industry for years to come,” said Secretary Chu. Recipients include the Electric Power Research Institute (EPRI) in Palo Alto, California, receiving $1.5 million, $500,000 and $600,000 for three projects with the Hydro Research Foundation in Washington, DC, receiving to $1 million. Hydropower Grid Services – Selection has been made for a project that develops new methods to quantify and maximize the benefits that conventional hydropower and pumped storage hydropower provide to transmission grids. University Hydropower Research Program – Selected projects will be for organizations to establish and manage a competitive fellowship program to support graduate students and faculty members engaged in work directly relevant to conventional hydropower or pumped storage hydropower. Marine & Hydrokinetic Energy Conversion Device or Component Design and Development – Selections are for industry-led partnerships to design, model, develop, refine, or test a marine and hydrokinetic energy conversion device, at full or subscale, or a component of such a device. Marine and Hydrokinetic Site-specific Environmental Studies – Selected projects are for industry-led teams to perform environmental studies related to the installation, testing, or operation of a marine and hydrokinetic energy conversion device at an open water project site. 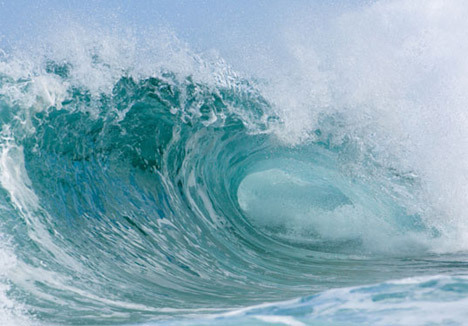 Advanced Ocean Energy Market Acceleration Analysis and Assessments – Selections are for a number of energy resource assessments across a number of marine and hydrokinetic resources, as well as life-cycle cost analyses for wave, current and ocean thermal energy conversion technologies. For a complete list of the the funded projects, go here. U.S. Department of Energy Secretary Steven Chu is making available over $32 million in Recovery Act funding to modernize the existing hydropower infrastructure in the U.S., increase efficiency and reduce environmental impact. His announcement supports the deployment of turbines and control technologies to increase power generation and environmental stewardship at existing non-federal hydroelectric facilities. Secretary Chu notes a key benefit of hydropower: potential hydro energy can be stored behind dams and released when it is most needed. Therefore, improving our hydro infrastructure can help to increase the utilization and economic viability of intermittent renewable energy sources like wind and solar power. Secretary Chu has committed to developing pumped storage technology to harness these advantages. Today’s funding opportunity announcement under the Recovery Act will be competitively awarded to a variety of non-federal hydropower projects that can be developed without significant modifications to dams and with a minimum of regulatory delay. Deployment of Hydropower Upgrades at Projects >50 MW: These include projects at large, non-federal facilities (greater than 50 MW capacity) with existing or advanced technologies that will enable improved environmental performance and significant new generation. Deployment of Hydropower Upgrades at Projects < 50 MW: These include projects at small-scale non-federal facilities (less than 50 MWs) with existing or advanced technologies that will enable improved environmental performance and significant new generation. Letters of intent are due July 22, 2009, and completed applications are due August 20, 2009. The complete Funding Opportunity Announcement, number DE-FOA-0000120, can be viewed on the Grants.gov Web site. Projects are expected to begin in fiscal year 2010. The United States Senate Energy and Natural Resources Committee today adopted legislation to include key provisions of the Marine Renewable Energy Promotion Act (Senate Act 923). In response, the Ocean Renewable Energy Coalition (OREC) commended Committee Chairman Jeff Bingaman (D-NM) and Ranking Member Lisa Murkowski (R-AK) for including the marine energy provisions to the American Clean Energy Leadership Act of 2009 now being crafted. The legislation is regarded as integral for continued development of ocean, tidal and hydrokinetic energy sources. The Marine Renewable Energy Promotion Act will authorize $250 million per year through 2021 for marine renewable research, development, demonstration and deployment (RDD&D), a Department of Energy sponsored Device Verification Program and an Adaptive Management Program to fund environmental studies associated with installed ocean renewable energy projects.